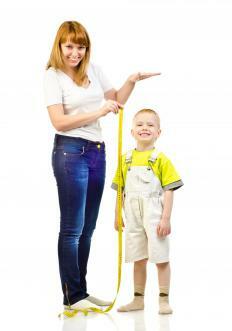 A dietician or nutritionist may be recommended to help maximize a child's growth. Growth failure is a condition known to affect the proper mechanisms within the body of an adolescent or teenager during puberty and beyond, which results in short stature and delayed development of secondary sexual characteristics. As there are often may different factors that contribute to the failure to thrive, many treatments involve looking at all aspects of the health of an individual to ensure proper growth. If the condition is not treated early, such as before the onset of adulthood or earlier, symptoms of short stature and delayed development are often permanent. Improving nutrition, psychological factors and other lifestyle habits can contribute greatly in improving symptoms of growth failure. When a child is at or past the age of puberty and exhibits characteristics of being in a low percentile for his height and weight for his age, then it is often wise to seek medical attention regarding growth failure. Short stature, or being below the average height and weight for the age of the child, is the most common symptom seen by most parents who have children suffering from slow growth syndrome. The lack of development of any secondary sexual characteristics, such as facial hair or the deepening of the voice, is another sign of growth failure. It is wise to seek help from a physician who specializes in growth failure early, before the possibility of delayed growth becomes permanent. To maximize a child's growth potential, a physician might recommend a child see a dietitian or nutritionist who will help structure a meal plan with the proper nutrients necessary for growth. Including enough vitamins from fresh vegetables and calcium from fresh dairy products or other sources, along with proper fat and protein intake, are crucial for proper growth. A high strength multivitamin may also be prescribed to children who experience growth failure to ensure adequate intake of nutrients every day. Improving the quality of sleep for the child, as well as increasing physical activity while maintaining enough calories to keep the body fueled, are important for increasing natural human growth hormone. Psychological factors such as emotional deprivation or parental or family withdrawal have also been implicated in growth failure in children. Improving these dynamics by using counseling, or in severe cases removing the child from the environment, can contribute greatly to influencing proper development and good health. Injections of human growth hormone can also be prescribed, however the pros and cons of this method should be considered and weighed by the parents or care takers. Chronic infections can also lead to slow growth in children, so improving the immune system and its function may also be important to consider in aiding adequate growth. What Are the Causes of Progeria? What are the Different Types of Growth Disorders?